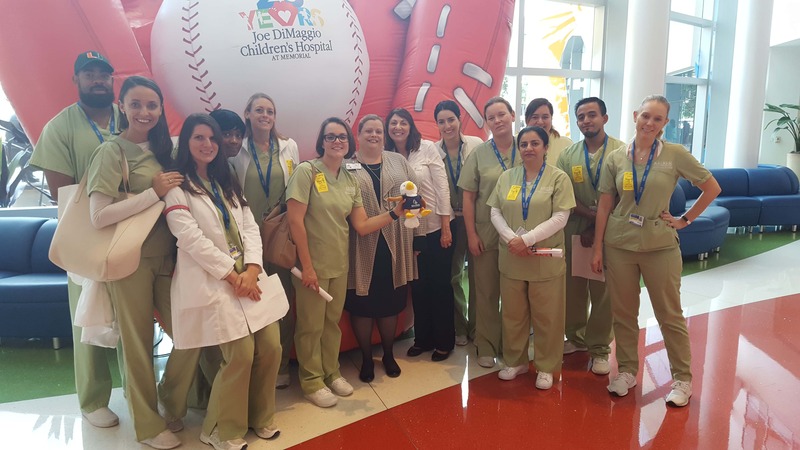 Professor Truitt and her Dietetic & Nutrition class took a field trip to Joe DiMaggio Children’s Hospital to see the kitchen set-up for their patients. Joe DiMaggio has a room service menu style for their pediatric patients. Room service menu types is rare in hospitals, yet is so beneficial because it prevents food waste and weight loss in the hospital patient. They toured the hospital and were given information on the different community events held by Joe D. Skylar joined the crew – maybe he is a future dietitian?